Ernie- I'm reading in 408.16 that a panel such as you are describing is allowed two mains?? Also look at the Exception No. 2 for existing. Is that a spilt Buss Panel(main for each part) then or two mains Parrell Feeding the Buss?? I;m a bit confused here? ?Cause it does say TWO MAINS?? Yeppers- You sometimes see panels with split buss and a main for each set of buss bars. Pushmatic used to use them all the time. Thank God their no longer manufactured. The 200a. 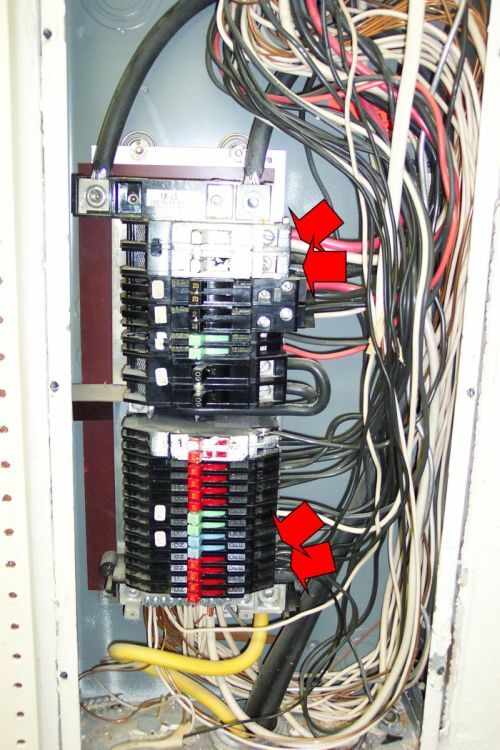 panel had two set's of buss and a 100a. main for each set. iwire- Isn't that an Oldie? I think that one isn't legal any more Seems like we have about 5 mains. It's still a Lighting and Appliance branch circuit panel board. We have a guy in Metro Detroit that gets a premium for those old Zinsco breakers. Spmething like $50.00 bucks for the rare ones.